Ever wanted to capture those moments at a Halloween party but just can’t find your camera? 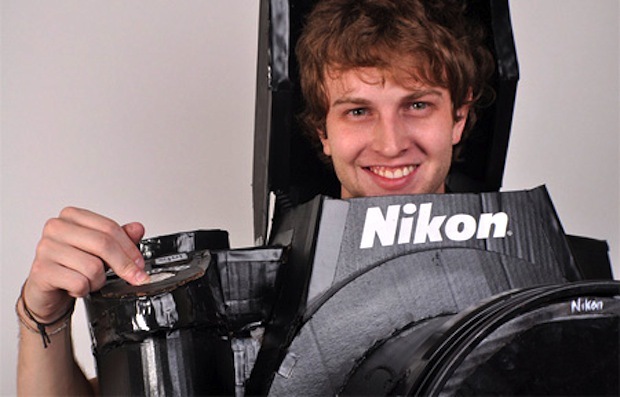 Well Tyler Card designed a wearable camera costume using his Nikon DSLR. It’s fully functional, complete with an LCD display, built in flash, shutter release button/wireless remote control. It is also capable of winning any costume contest with the push of a button… BONUS! This entry was posted in Article, Photography, Video and tagged Costume, dslr, Halloween, nikon, Photography, Tyler Card. Bookmark the permalink.